We are always on the lookout for talented makers and team members to join us. Do you feel that you have the right skills, talent and attitude to join the Aldworth James & Bond team? Then we would love to hear from you. Alongside any specific vacancies below, we welcome speculative applications for carpenters, joiners and project managers. Send your applications to the email below, or give us a call. Aldworth James & Bond are on a look out for a highly experienced Site Manager for the growing team. The right candidate will be responsible for but not limited to, delivery of works to programme, liaising with clients and contractors when required, implementing a high level of H&S at all times, ordering and quantifying of materials ordered through the PM, as well as tracking operative hours, raising fabrication issues and amendments and quality control checking. For further details and how to apply, please drop us a line. 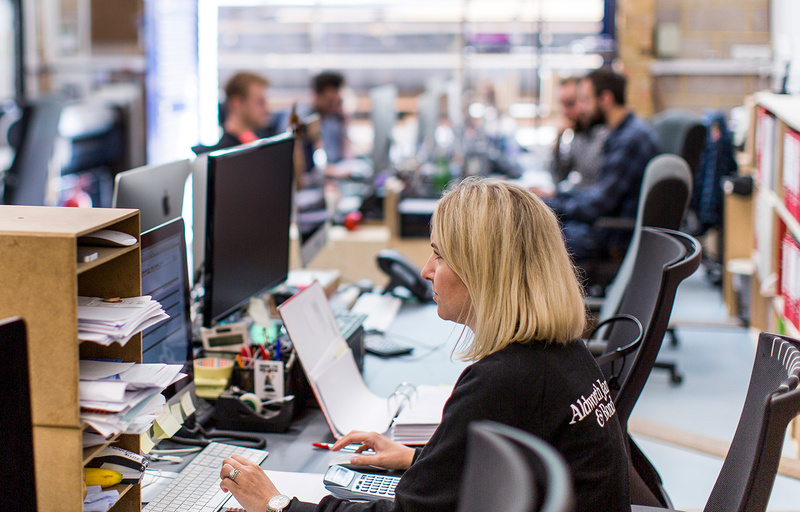 We require a talented, enthusiastic and experienced production manager to work alongside our project management and design teams here at Aldworth James & Bond. The scope of the role includes: producing detailed production schedules, resource planning, material procurement, quality control and cost management. 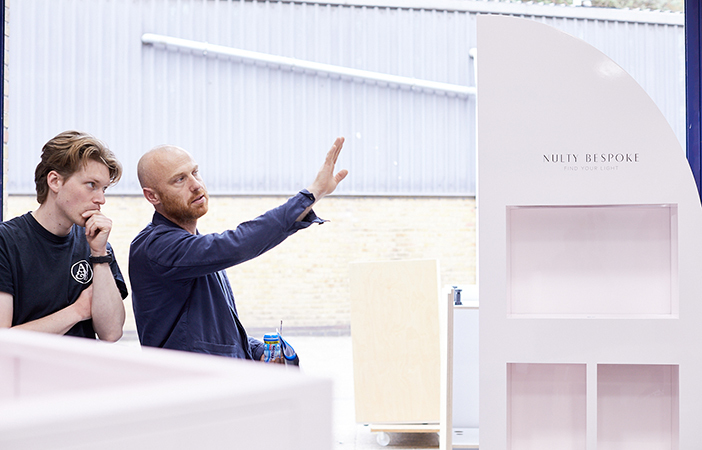 You will be assisting our design team with production detailing and methodologies, as well as working closely with our workshop management team. We require someone who ideally has three to five years’ experience in commercial and residential interior fit out joinery production, and preferably a CSCS card holder. 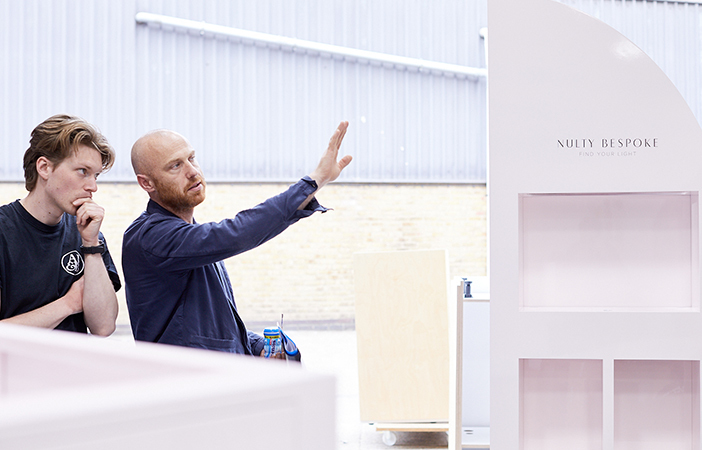 We are looking for an highly experienced Senior Production and Design Manager to join our team. Working with the project management team the right candidate will be able to take projects from handover through the design and production phases. The role is key to maintaining a consistent workflow through the production process making sure deadlines are met, as well as monitoring and reporting of design and production schedules. We are looking for an applicant with 5 plus years experience of design and production detailing for joinery items, as well as excellent understanding of joinery manufacturing processes and H&S responsibilities. 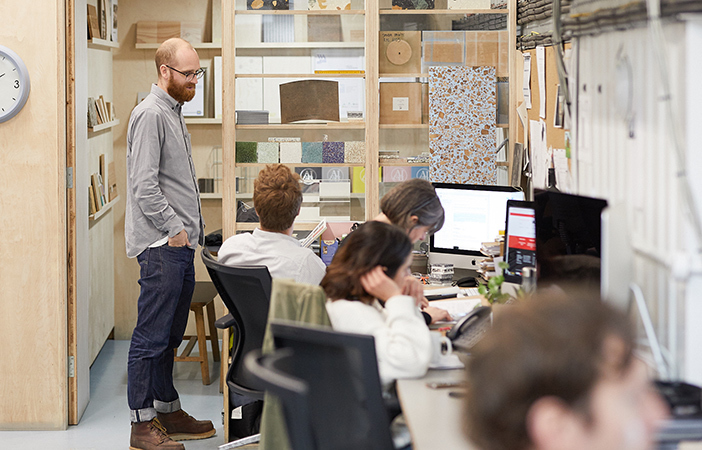 We are on the look out for Production Administrator to join our team at the Deptford workshop. Working closely with and supporting the production management team with all aspects of joinery production administration, this role will involve assisting with; supplier research, tender analysis, document preparation and control and filing, as well as assisting with cost management and scheduling of deliveries. The right candidate will have a minimum of two years experience in a similar role, a self motivated and hardworking team player who is ideally educated to degree level. 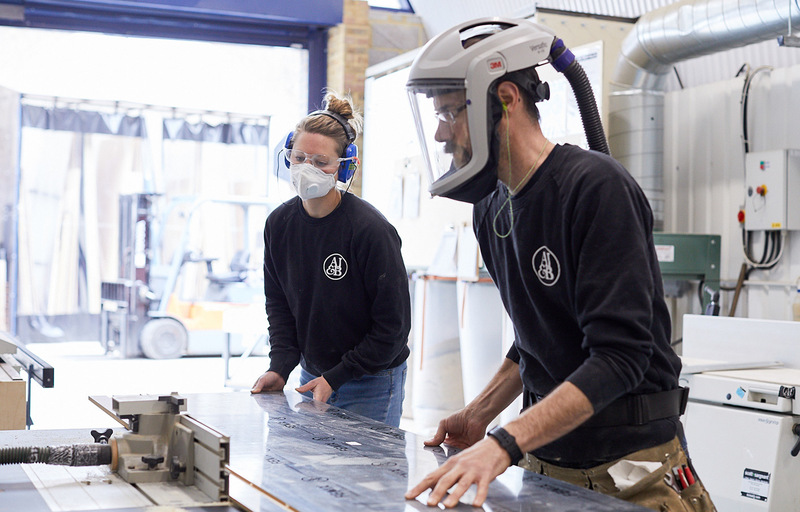 We are looking for an experienced Joinery Buyer to be based in our Deptford workshop, a brand new role within the company. This new position will be working within the production and project management teams, researching all aspects of fit out construction purchasing including, sheet materials, metal work, tool hire, fixtures and fittings. This role will be building on the already existing supply chain, as well as company product purchasing, agreeing sub contractor packages, negotiations and appraisals. The perfect person will have a minimum of three years experience in a similar role, with the ability to read and take off drawings and will have excellent negotiation skills. The ideal person will be a self-starter and highly motivated, with the ability to take ownership and drive the new role forward for the company. We are looking for talent sourcing specialist for a new role within Aldworth James & Bond. Working closely with the Operations Director, this new position with deal with all levels of recruitment to find the best candidates for our varied and specialist roles within the company. This new role will include, but not limited to, drafting and advertising job vacancies, screening CVs, coordinating and conduction interviews as well as handling and negotiating job offers. The right person for this role should have 3+ years proven experience in a similar role, with strong communication and negotiation skills, as well as the ability to work in a fast paced environment. 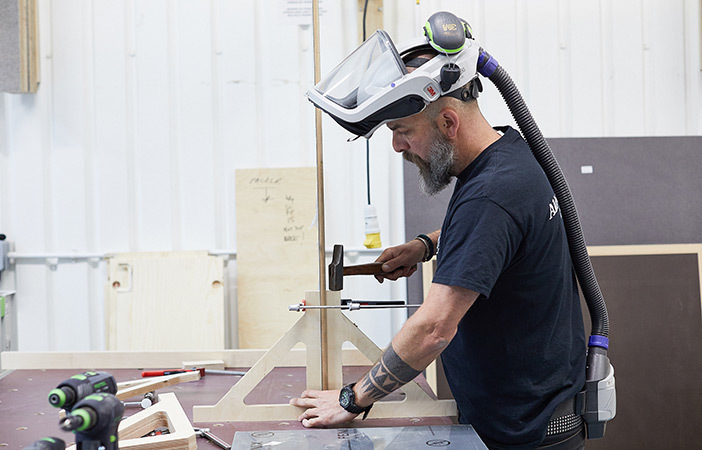 Workshop-based cabinet makers and joiners at Aldworth James & Bond are expected to carry out a wide range of woodworking and assembly tasks and to operate in a safe and efficient manner. Our standards are high, and your passion and enthusiasm should translate in to the work you produce. 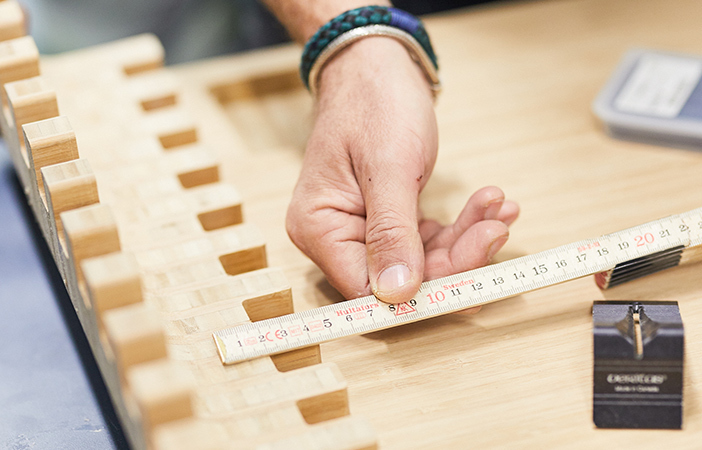 Tasks include: assembly, furniture manufacture, cabinet-making and kitchen builds and we expect proficiency in the use of hand tools, portable electric tools and joinery machinery. 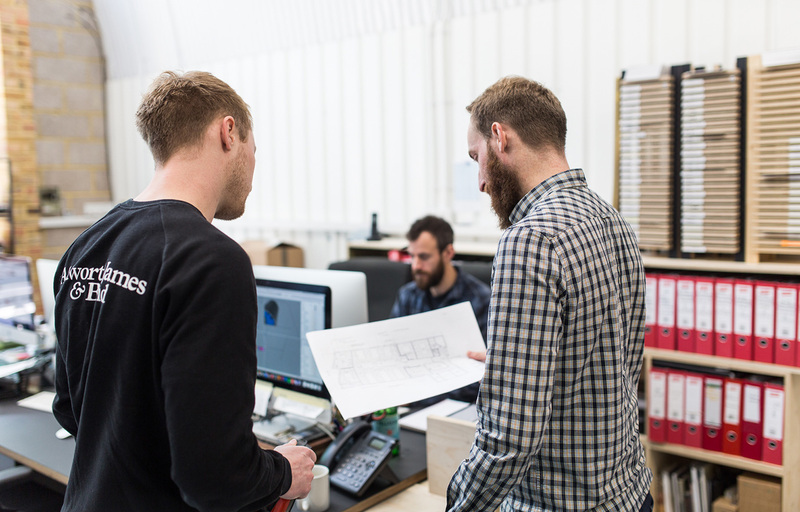 Our work includes extensive use of high quality solid timber and sheet materials and you must have excellent knowledge of these to succeed in this role. We require an experienced Quantity Surveyor/Estimator to join our new works team in our Deptford workshop. This highly varied role will include estimating fitted joinery items, preparing valuations, conducting site visits and surveys, creating precise cost plans and reporting, as well as cash flow forecasting and supplier research and negotiation. The right candidate will be a CSCS card holder and have a minimum of five years' industry experience as a quantity surveyor or estimator, with in-depth understanding of the building and construction industry, as well as a familiarity with working on large scale, high end and complex commercial, residential & exhibition projects. A construction related degree or qualification, preferably in quantity surveying, is desirable but not a pre-requisite.